He's not the cable guy! The time-traveling mutant son of X-Man Cyclops. Limited edition 12-inch scale resin statue. Based on his Marvel Comics appearance. The time-traveling mutant son of X-Man Cyclops is in our time, ready for the big screen! 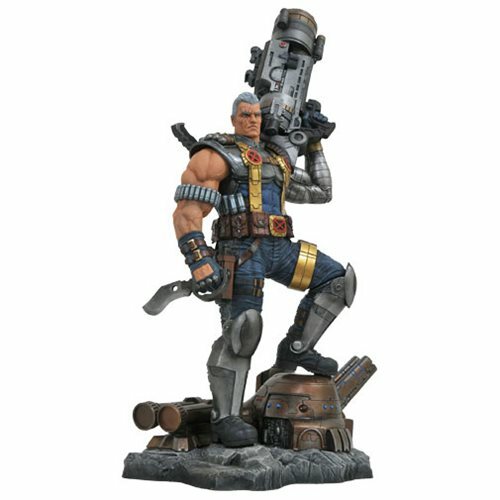 Based on his Marvel Comics appearance, this remarkable 12-inch scale statue of Nathan Summers (aka Cable) features a massive weapon and can be displayed on its own or in conjunction with the previously released Deadpool statue (sold separately) to form a larger diorama. 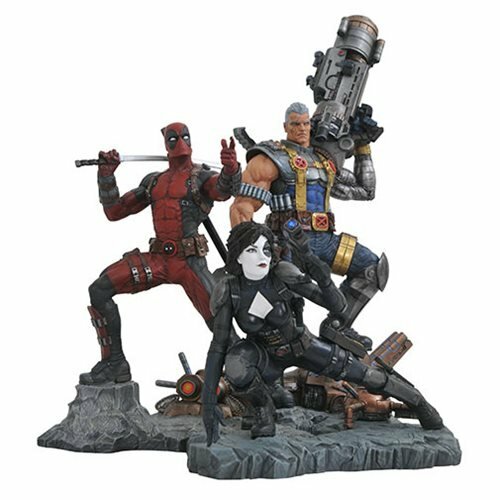 Limited to 3,000 resin pieces, the Marvel Premier Collection Cable Statue comes packaged with a certificate of authenticity in a numbered full-color box. Ages 13 and up.